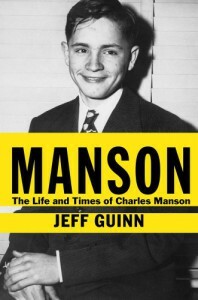 First of all I would like to say a few words about the last few paragraphs in this book.For me Guinn manages to pinpoint Manson exactly right in those last few sentences. I actually nodded in agreement as I read them.The fact that the author managed to get Manson's family members, sorry his genetic family, to talk to him gives this book some extra insight. 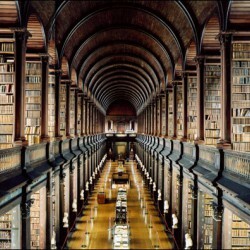 It is filled with factual info that makes a lot of things less mystical, and let's be honest the media likes to paint Manson that way, and with a great deal more realism than is usually shown in regards to this true story.Manson is a sociopath.There is nothing special about him and he doesn't possess an awe-inspiring charisma. Manson obviously learnt to manipulate at an early age and use his adapted Dale Carnegie skills. He was/is a controlling, abusive, misogynistic criminal with a tendency towards violence. If he and his cult members hadn't been caught they would have gone on to murder many more.They didn't though and unfortunately the vile acts they committed has given Manson and his tribe the attention and notoriety that Manson craved. Even now, after many decades his name still commands and instills a sense of evil and foreboding in people of which he is not and never was deserving.His fellow comrades in murder seem to get a lot of leniency from many corners. Drugs, mass-thought, fear and control can only explain a part of their involvement.Fact is they are the ones who used the weapons. Nobody forced Susan Atkins to stab Sharon Tate, no person held Tex's hand while he stabbed, shot and caved the victim's head in. They are just as responsible as the person who sent them there. They went without concise orders so ultimately they decided to choose to commit murder and how to do it.I have no pity and am not swayed by arguments that place the sole blame on Manson.Guinn doesn't do that. He doesn't play up to the media hype or make excuses for the poor brainwashed vulnerable females/males. He sees Manson for the role-playing manipulator he is. Even after all these years Manson still sits in prison and thrives on the attention of murder junkies, Manson fans and the media.Despite the fact that the flow of information could have been a little smoother this was a good book. It contains a lot of insight from sources close to Manson and people who were part of his life on a daily basis.I especially liked the fact that the author gives the reader all the info about Manson's rocky childhood, adolescence and early adulthood in juvenile detention or prison. that way the reader can absorb that information and decide whether it is enough of a factor to feel sympathy or understanding for Manson. The author allows us to have that opening, a door of sorts, and then right at the end he opens another door.The door marked 'Manson would have done this anyway, it just would have been another time and different victims' and I for one will gladly walk through that door.I received a free copy of this book via Edelweiss.